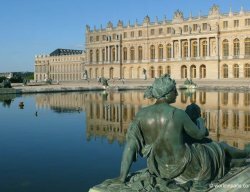 Looking for an alternative to the Versailles day trip without the crowds? Head to Gare du Nord and hop on a train for an easy day trip from Paris to Chantilly. Chantilly is perhaps a lesser known “chateau destination” than Versailles, Fontainebleau or Loire Valley. 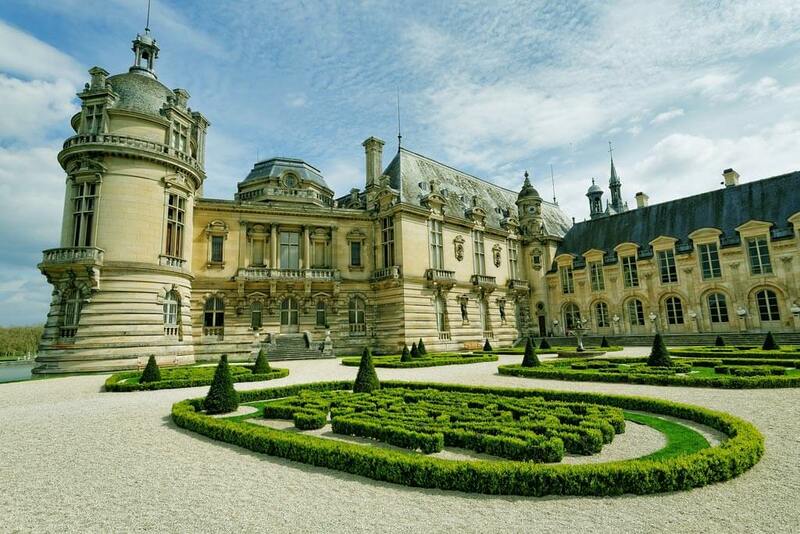 For us Paris – Chantilly is the best day trip from Paris by train, with interesting and beautiful sights that we will make you discover here below. 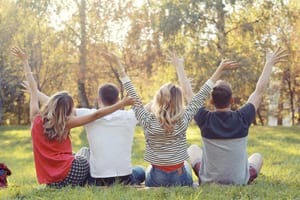 Watch the best side trips from Paris in 2019! Let’s start from the beginning: the train Paris – Chantilly leaves hourly from Gare du Nord, from the Grandes Lignes zone (platforms, 9 to 18). Be aware that Gare du Nord is the biggest train station in France so it is better if you arrive well before the Paris Chantilly train departure to find your bearings. If you reach Gare du Nord by the Parisian metro (lines 4 and 5), you need to go upstairs from level -2 to level 0. The distance Paris – Chantilly is only 40 km, for a train ride of 20 minutes. 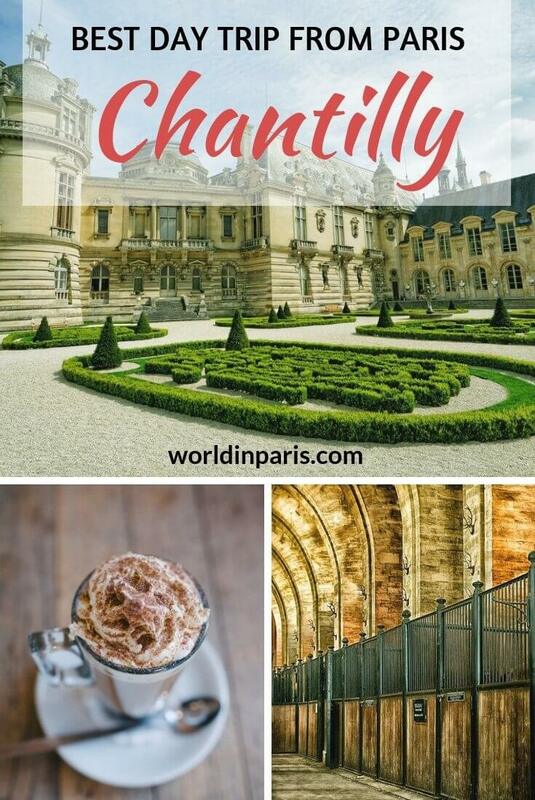 Paris to Chantilly train tickets can be purchased at the automatic distributors “Grandes Lignes”. 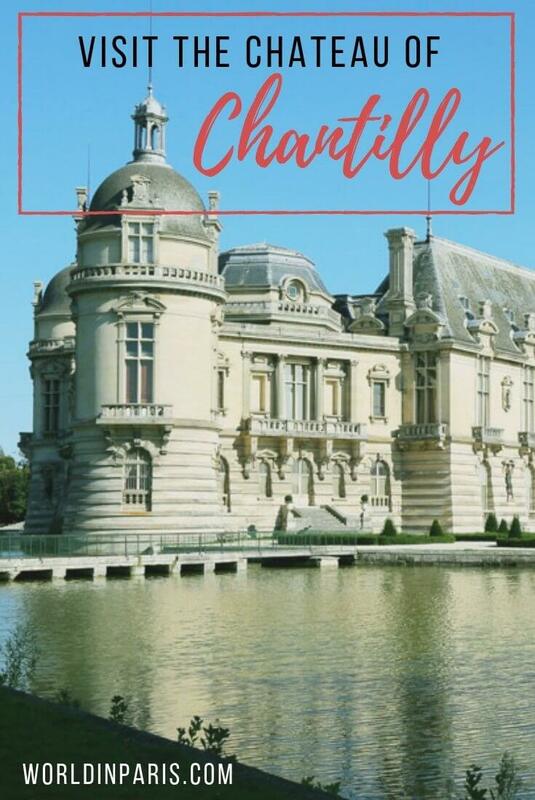 During the summer, there is an interesting combined ticket [train + Domaine de Chantilly] for only 25€ which can be bought at the Grandes Lignes Ticket Office. When we arrived at the ticket office there was a long line to buy tickets. Luckily for us, they also have an automatic distributor outside the office, on the left, and the staff checking on the line helped us to buy the Chantilly combined ticket. You may want to start your day trip Paris – Chantilly by the beautiful Chantilly Castle. The Château de Chantilly (Chantilly Palace) may not be a royal residence but this fairytale castle, one of the most beautiful Castles in France, hosted Kings and Queens. The town of Chantilly, France, is dominated by a château since medieval times. This castle was destroyed many times and rebuilt again and again. The castle that you can see today is from the 19th century and once home to Henri d’Orléans, son of the last King of France. The Château of Chantilly has a spectacular setting, located at the center of a small pond and surrounded by beautiful gardens and ponds. Like many other European castles, Château of Chantilly is a succession of beautiful rooms and halls, each one more impressive than the last. The most interesting rooms in this castle are the rooms related to Henri’s main passions: artworks and books. Henri d’Orléans was a very cultivated man and a compulsive collector. Thanks to Henri, Château de Chantilly hosts today the second largest collection of artwork in France, only beaten by the Louvre artwork. Henri loved to organize lavish dinners with many guests. After the dinner, he enjoyed taking them to the Grande Galérie where the biggest part of his collection was exhibited. 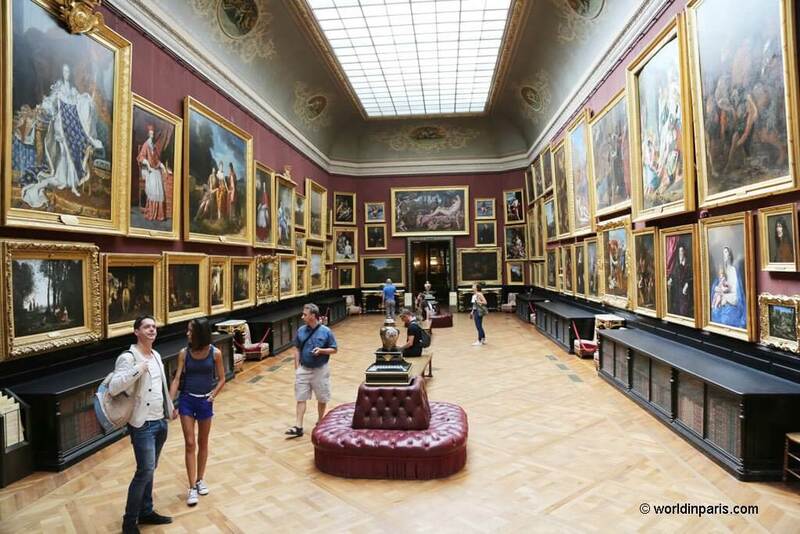 Today, the artworks in this gallery are still displayed exactly at the same position that Henri chose for them. 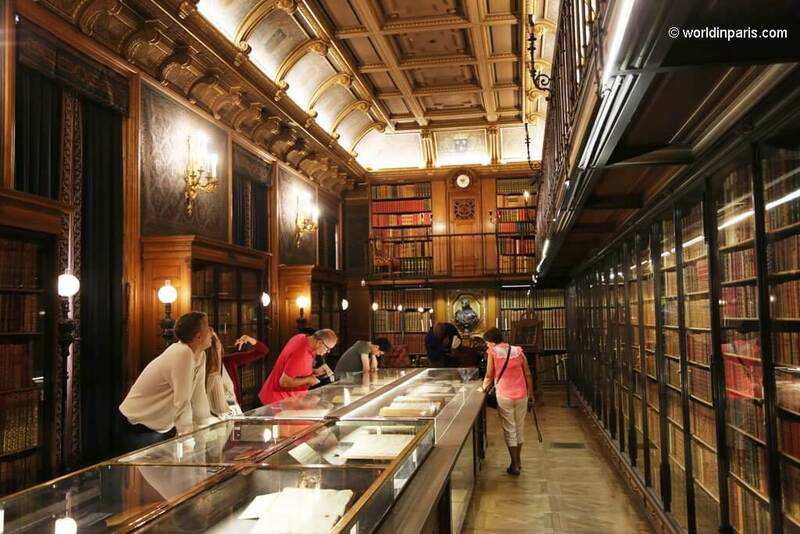 However, our favorite part of Château Palace was the Chantilly library, hosting a collection of 60.000 rare books which includes some major works of medieval art. The library and reading room design, with two levels and a gallery, is typical of library architecture in the second half of the 19th century. DID YOU KNOW? 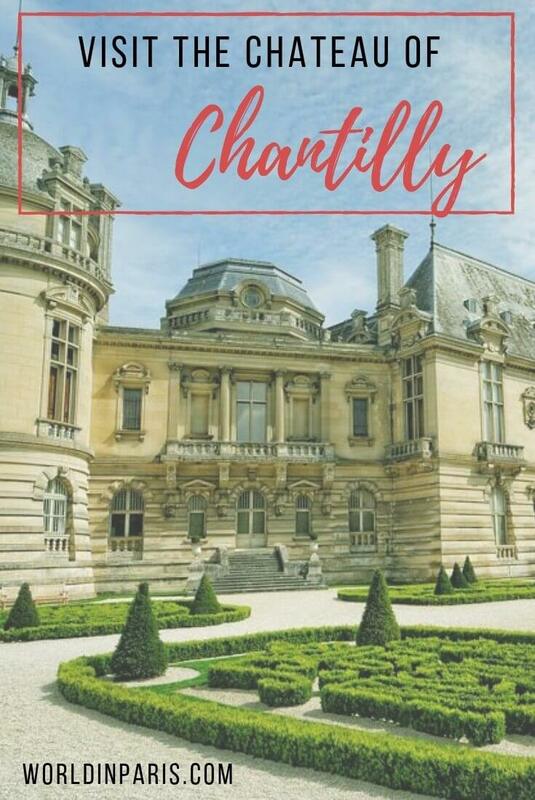 Château de Chantilly is included in the Paris Museum Pass so here’s an extra reason to buy it! You can read our Paris Museum Pass review here. 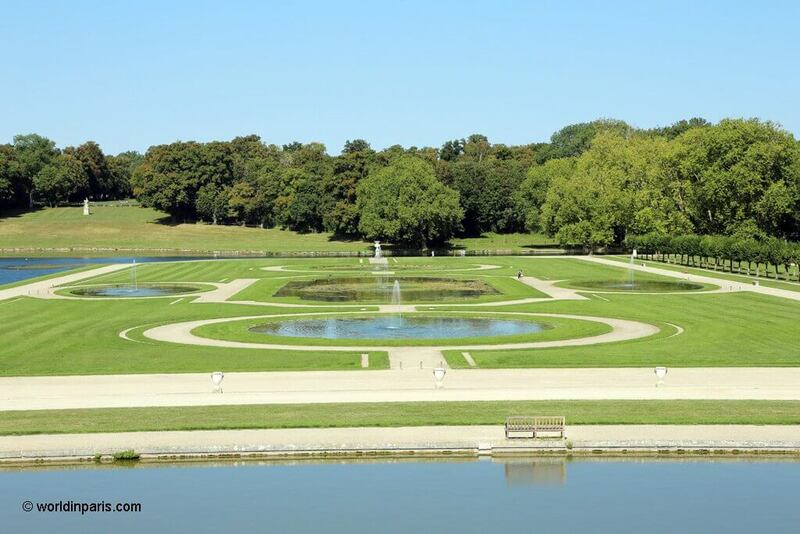 André Le Nôtre may be world known as Versailles Gardens’ landscape designer but his favorite (and dearest) creation was the magnificent French Garden surrounding the Château Chantilly. The French Garden of Chantilly is previous to the current Chantilly Castle. It was designed at the end of the 17th century by André Le Nôtre for Louis II de Bourbon. 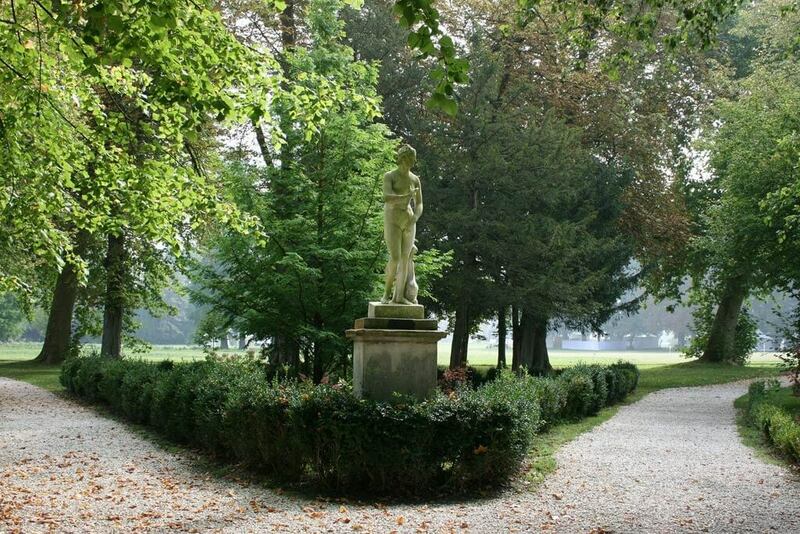 As usual, Le Nôtre structured the park around two perpendicular axes: the first, North-South through the majestic terrace, highlights the undulation of the site; the second, East-West, is occupied by the Grand Canal through the valley. The particularity of this garden is that the East-West axis is off-center in relation to the Château. Go to the terrace for a terrific overview of the French garden and Grand Canal. Between the terrace and the Grand Canal, north of the castle, Le Nôtre created “French-style” parterres. These parterres were decorated with flowerbeds, ponds, and other water features. 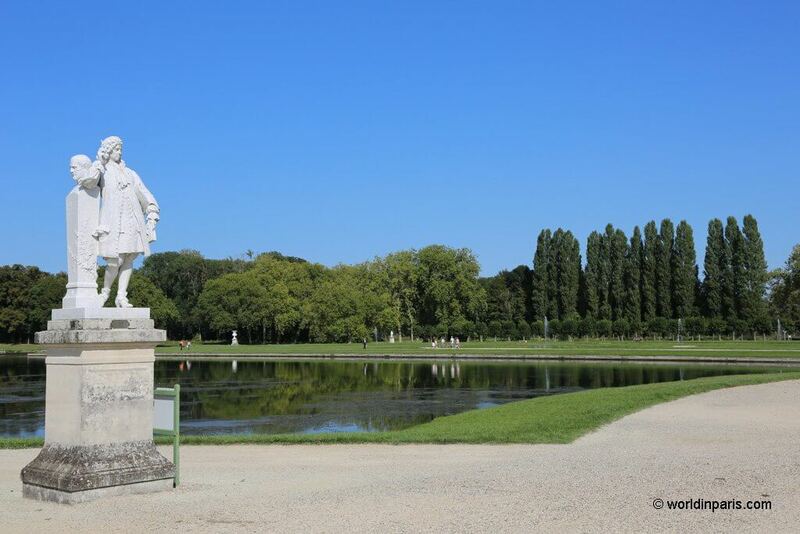 The Grand Canal was the part of the garden Le Nôtre was most proud of. This Grand Canal is 600 meters longer than the one in Versailles. 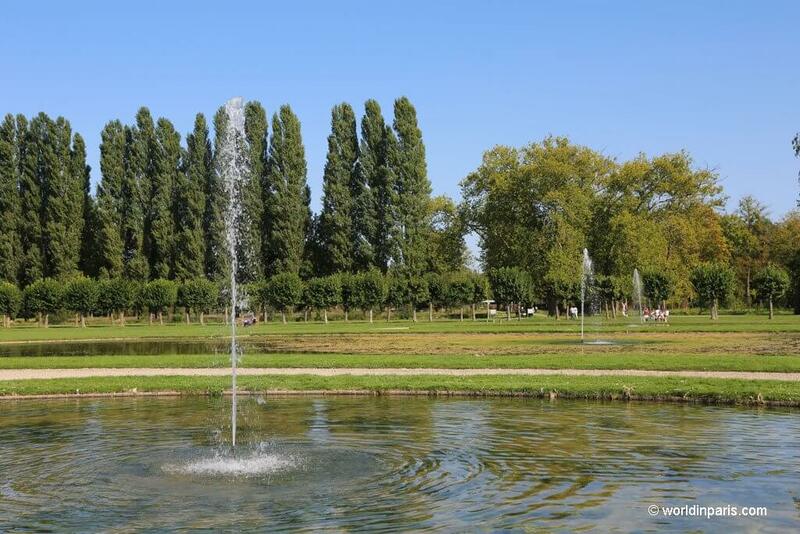 If you read our article on Versailles Gardens and Fountains, you know by now how difficult was to bring the water from the Seine River to Versailles (the river was 10km far from Versailles and 100m lower). Chantilly’s Grand Canal was created via a diversion of the Nonette, a tributary of the river Oise, so it was much easier. In Chantilly Gardens there is also an English Garden and an Anglo-Chinese Garden. The Anglo-Chinese Garden was designed during the 18th century and its main feature is a cute hamlet with 5 rustic houses surrounded by small vegetable gardens, fruit bushes, and flower gardens. 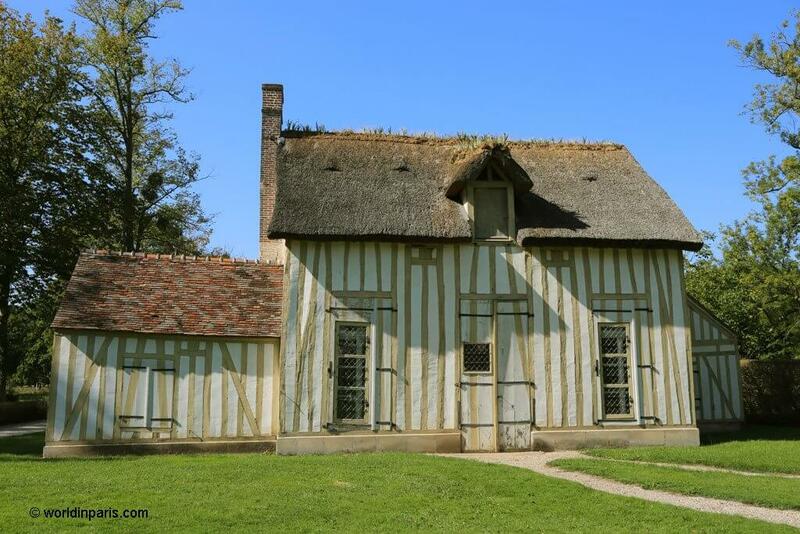 This enchanting place inspired Marie-Antoinette’s Petit Trianon in Versailles. The English Garden was the latest garden built in Chantilly, covering a plot of Le Notre’s French Garden which was destroyed during the French Revolution. As usual, the English Garden was designed with winding paths and untamed wilderness and it was enhanced by small romantic structures like a waterfall or a temple of Venus. 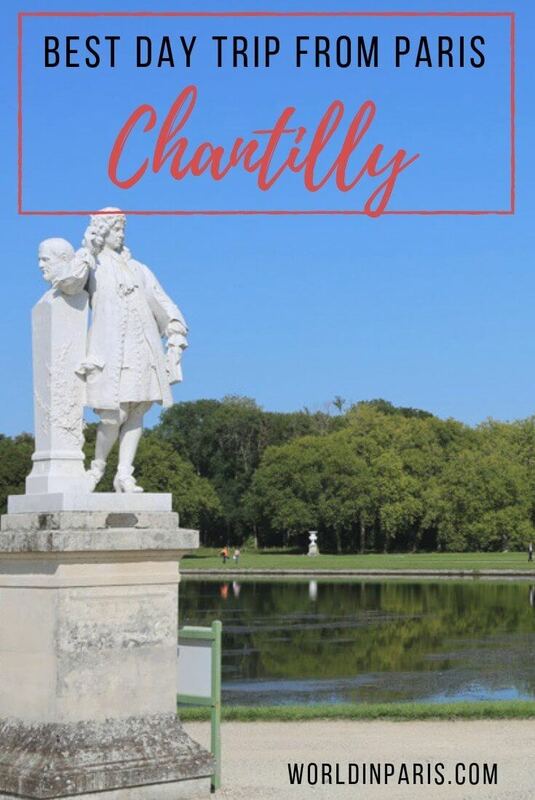 But what if we told you that Château de Chantilly and its gardens are not the main attraction of Domaine de Chantilly? Chantilly is world known for its Grandes Écuries, the largest stables in Europe which are devoted to the art of haute-école horse training and dressage. The Great Stables of the Princes de Condé were built in the 18th century for the 7th prince de Condé, Louis-Henri de Bourbon. 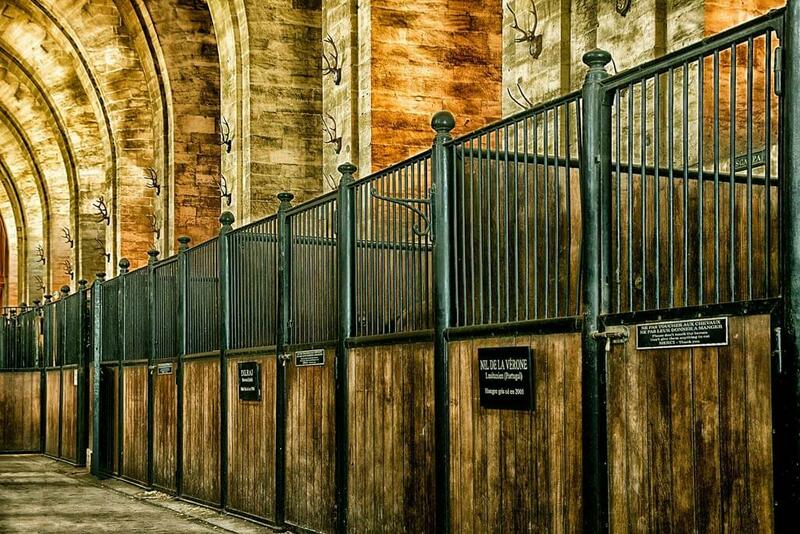 The Prince de Condé loved horses a lot and he was convinced that he would be a horse in a second life, that’s why he needed to have the most magnificent stables. During Louis-Henri’s life, the Chantilly Stables hosted more than 200 horses and 500 hounds and he liked to organize lavish dinners in the Dome. Today, Les Grandes Écuries hosts 30-40 horses (mostly Iberian horses or draft horses) which receive daily care and education by a team of highly qualified grooms and riders. The horses are also trained for equestrian shows and daily performances in the Dome. Apart from the everyday training, Les Grandes Écuries houses also the Chantilly Horse Museum, which is focused on the relationship between horses and men since the beginning of the civilization. 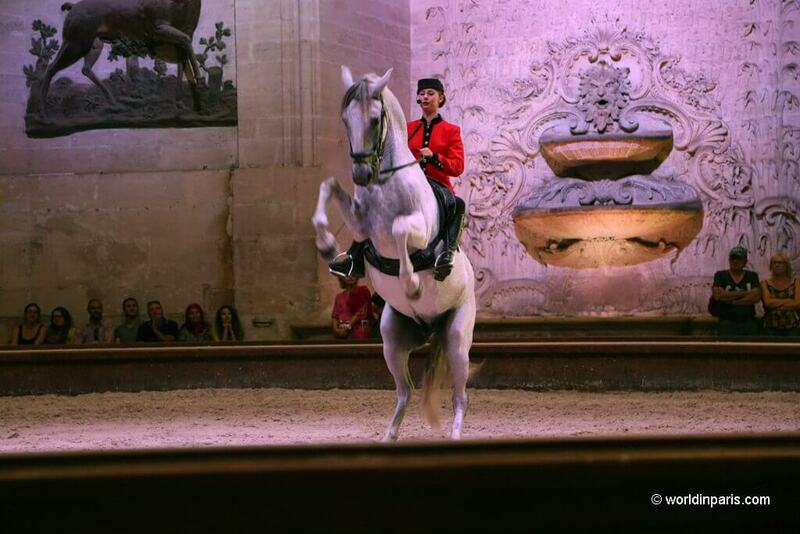 The museum ticket includes access to the Chantilly Horse Show, a daily horse performance in the Dome (30 minutes show). The Chantilly Racecourse was founded in 1834 but renovated from top to bottom in the 2000s. Located just in front of the Great Stables and surrounded by the Chantilly forest, it is worth having a look at this racecourse even if there is no race when you visit Chantilly. The Chantilly Racecourse hosts two of the most prestigious France Galop races: the Prix du Jockey-Club and the Prix de Diane Longines, the latest a symbol of wealth and elegance, with spectators wearing stylish hats and wonderful outfits. Chantilly’s training center for this kind of races has more than two thousand horses in training, spread across the neighboring municipalities of Chantilly, Gouvieux, Lamorlaye, Coye-la-Forêt, and Avilly-Saint-Léonard. Last but not least: Crème Chantilly! 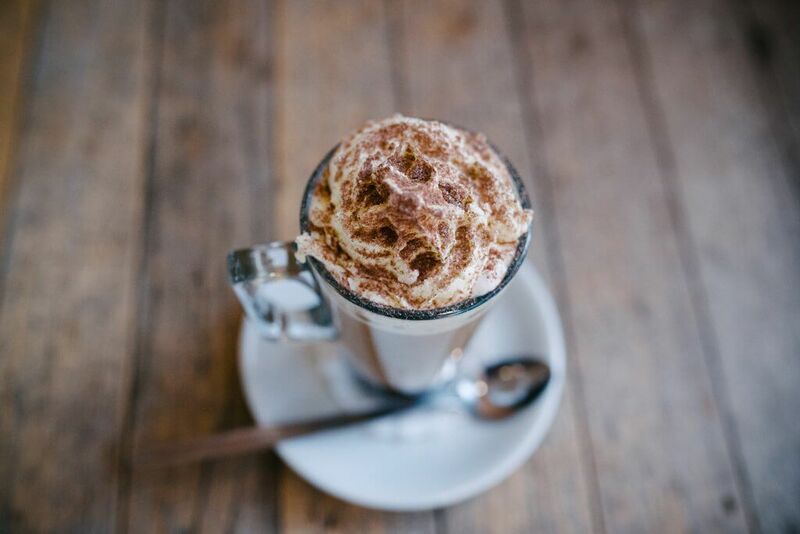 It would be a pity to leave Chantilly without having a taste of crème chantilly (whipped cream with sugar), usually on the top of the coffee or with ice cream. It is believed the cream was invented by a man who was from Chantilly, hence the name. Another theory claims the cream’s origins in a recipe once prepared in the kitchens of the Château de Chantilly. Visitors can have a taste of homemade chantilly whipped cream everywhere in the town and also at La Capitainerie, the restaurant inside the Château. To go back to Paris, take the Chantilly – Paris train at the same train station where you arrived. Be aware that the trains going from Chantilly to Paris are less frequent in the afternoon than in the morning so we recommend taking a picture of the train schedule displayed inside the train station or checking it online to be sure you don’t have to wait a long time before the next train Chantilly – Paris train. And that’s it! 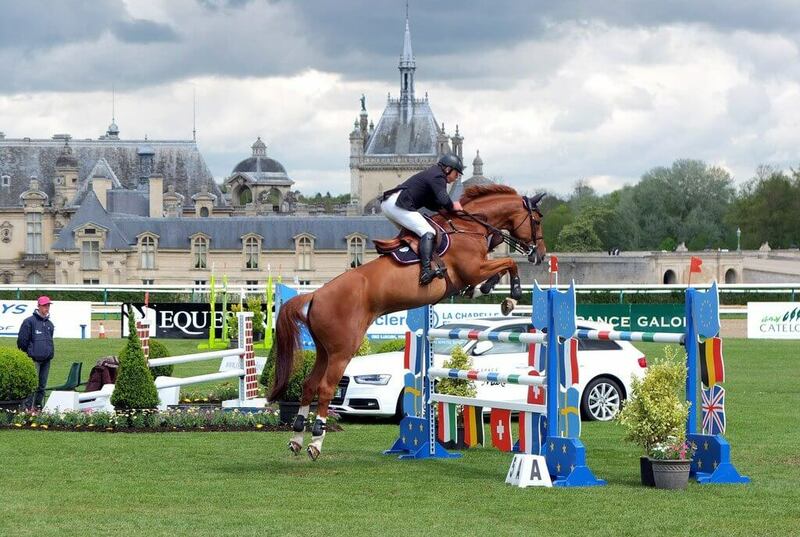 We hope that you enjoyed this day trip to Chantilly from Paris. 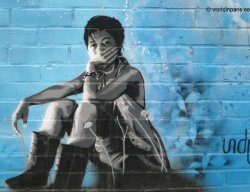 You can find more Paris side trips on the link below.